When i was in New York last year (one of the many times), a friend who studied there recommended Lady M Confections, a crepe cake place which he couldn't stop raving about. Sadly my food itinerary was too packed to even squeeze in desserts and I was constantly told I missed the best cake of my life. 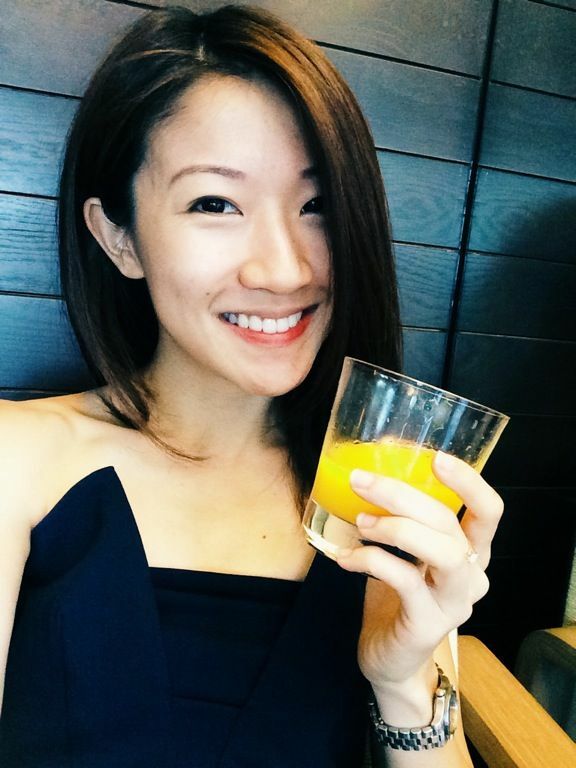 Well then it came over to Singapore! Mille crepe employs the best of the French and Japanese dessert making. Lady M's Mille crepe cake is made up of more than 20 layers of thin eggy crepes, layered with the fresh, light and vanilla perfumed cream. You can only imagine how much work goes into each cake! I love how there is this slightly chewy texture with the combination of the layers. 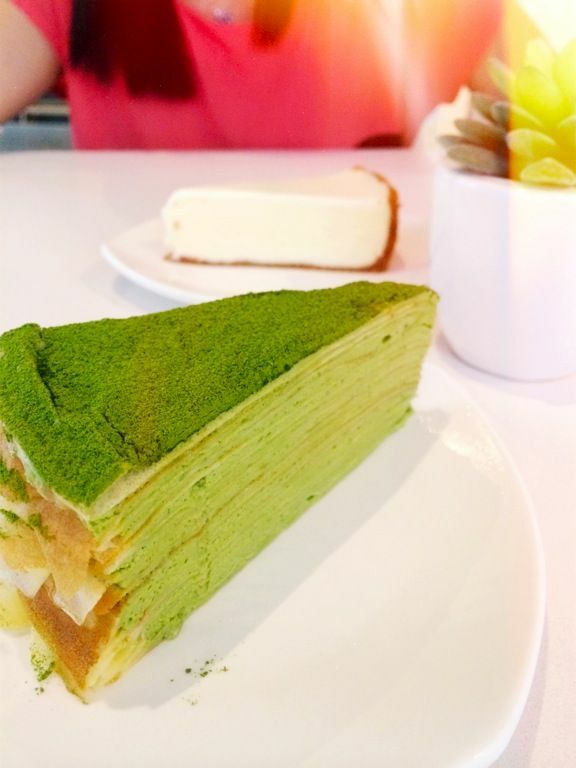 The first time I visited, the seasonal Green Tea Mille Crepe ($8.50) wasn't available. The Matcha monster in me was disappointed but the signature Vanilla Mille Crepe ($7.50) more than made up for it. 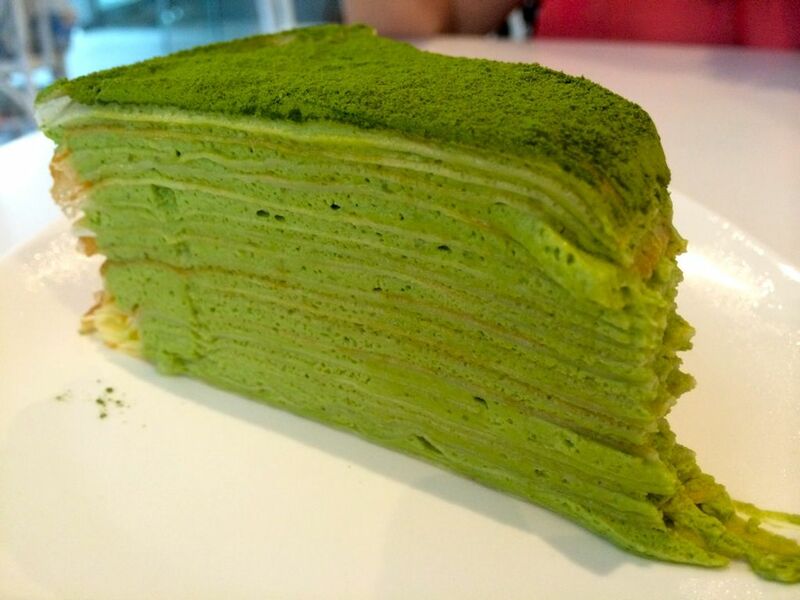 I was overjoyed when the Green Tea Mille Crepe greeted me on my second visit. 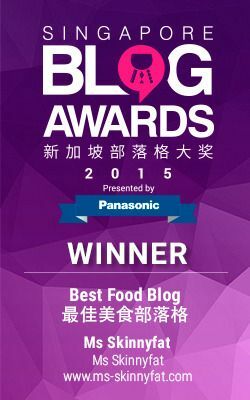 The intense matcha taste came from the fine green tea powder which was generously added to the cake. I thought it was less sweet than the Vanilla one (in a good way) and certainly my favorite of the 2. While Lady M is best known for the Mille Crepe, they do several other cakes and tarts too. If you like cheesecake but found the New York version too rich, the Gateau Nuage ($7) has taken on a Japanese light touch to its texture and taste. The filling is a delicious milky whipped cheesecake, which was sadly accompanied with a thin and soggy graham crust. I wish there was more crunch and bite to this one. Will be back to try more but you certainly have to make space for the Mille Crepe. Have a sweet weekend my dears!